This oblong minimalist clock seems to droop on your wall like the Salvador Dali clocks in his world famous paintings. 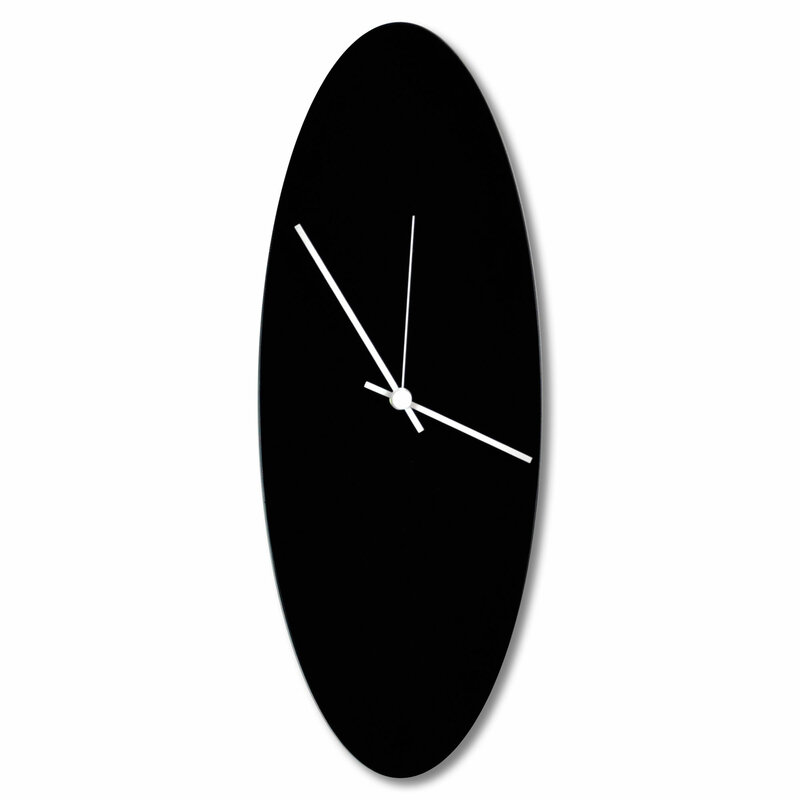 As the name suggests, our Blackout Ellipse Clock is a black oval clock featuring hands painted in various accent colors. Enjoy the modern minimalism of this wall decor without anticipating the daunting progression of numbers and hashes so prevalant on typical wall clocks.